Make your next performance a duet with the RockJam Wireless Uni- Directional Dynamic Microphone. Plug the wireless microphone receiver into an available microphone jack on your karaoke machine and get your friends and family in on the fun! 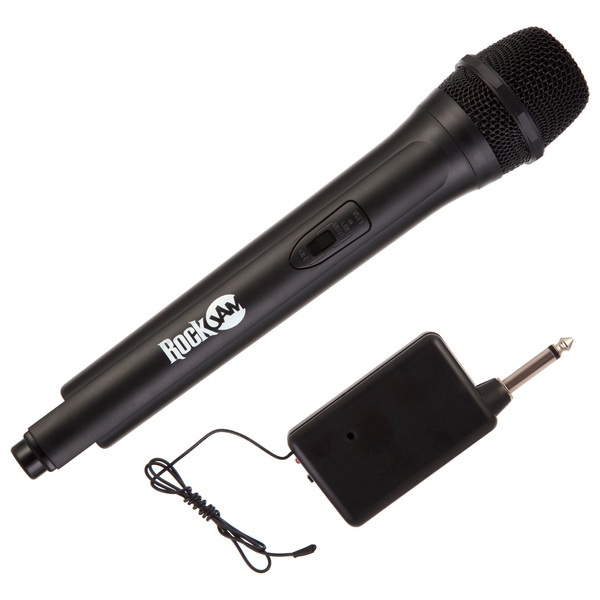 This RockJam Wireless Uni- Directional Dynamic Microphone features Wide-Frequency Response and High Sensitivity to add the power to your power-house performances! Simply connect your new RockJam wireless microphone receiver to your karaoke machine's microphone jack and free yourself from the wires.